Their uniforms are ready, the books are ready, the kids are ready. All they now need is a school bus. Together we can help them #GetOnTheBus. But Before July 25th. Bhelu and such other villages are just 10 kms away from SREC English Medium School. However, Anu, Vinu, Tanu and other children of these villages are deprived of education due to the absence of a school bus. Despite the parent’s ambition of sending their children to an English medium school, the distance of 10 kilometres is a big deterrent as it is physically taxing for the little souls. The parents hence have no choice, but to compromise on their education and future. By government regulations, the last date of admitting these children is 1st August, 2016. Hence it is of utmost importance that we raise the money i.e 18.5 Lacs INR by 25th July, 2016. 1 bus will enable children of 10 villages (around 120 children) to get an education in an English medium school that will not only secure their future, but also that of their family and their villages. Note: INR donations will receive 100% tax exemption under section 35 A C. All Donors will receive the tax exemption receipts upon completion of the campaign. 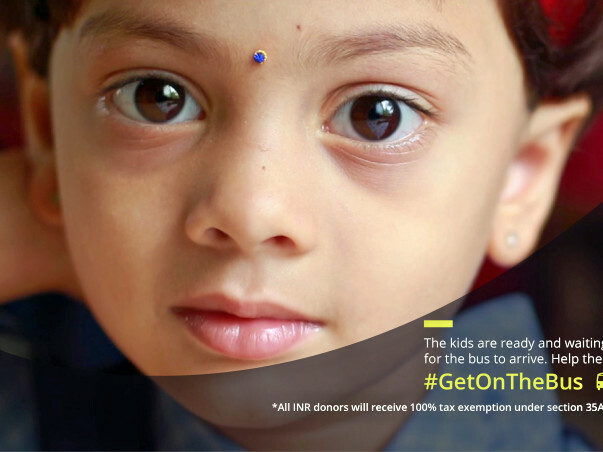 Let’s make these children #GetOnTheBus before July 25! SREC began with teaching sessions for a handful children in a temporary shed under a tree. 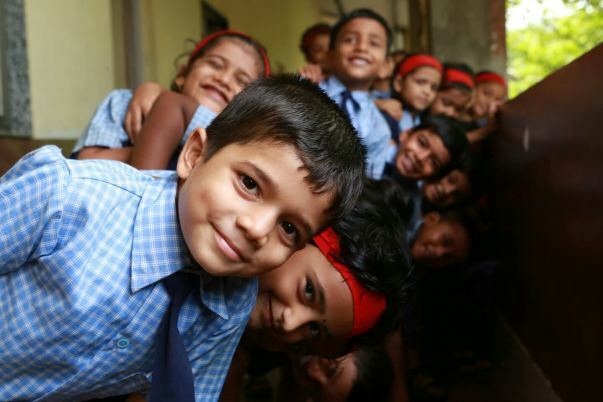 The success of the school's holistic education spread and more and more Adivasi and poor families sought an English medium Education for the future of their children. 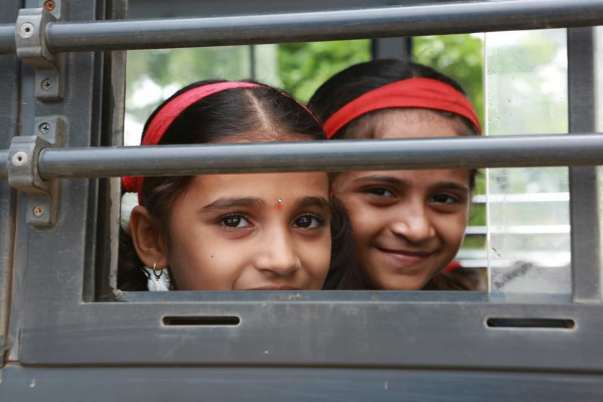 Today the school has 700 students from 55 villages of the Raigad district. SREC takes care of all educational expenses of students including uniforms, books, educational kits, meals as well as transportation. The bus was delivered to our school in the first week of September. Now all the children in Bhelu and other surrounding villages have access to English medium education because of your incredible support. We are extremely grateful to you for your contributions. 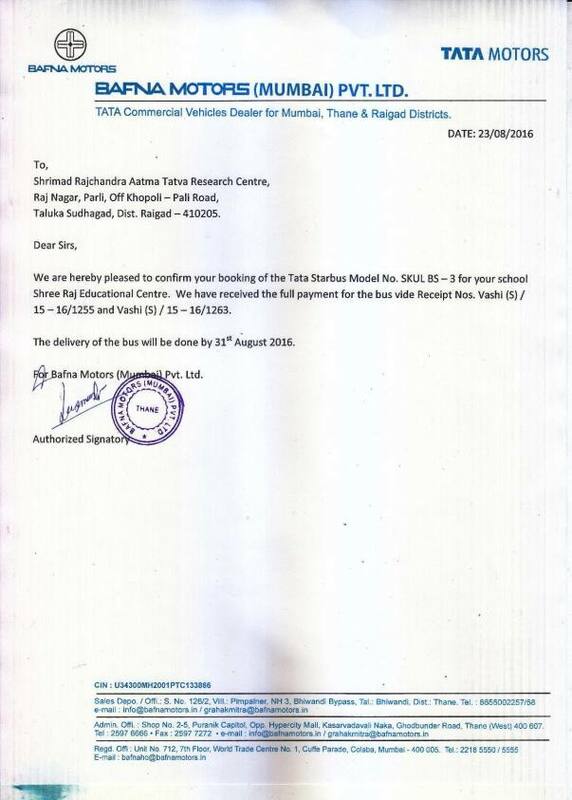 We are happy to inform you that the order for the bus has been placed and it will be delivered to us within a week (by August 31, 2016) Here is the delivery confirmation letter from the dealer. We thank you for your timely support in making this happen. 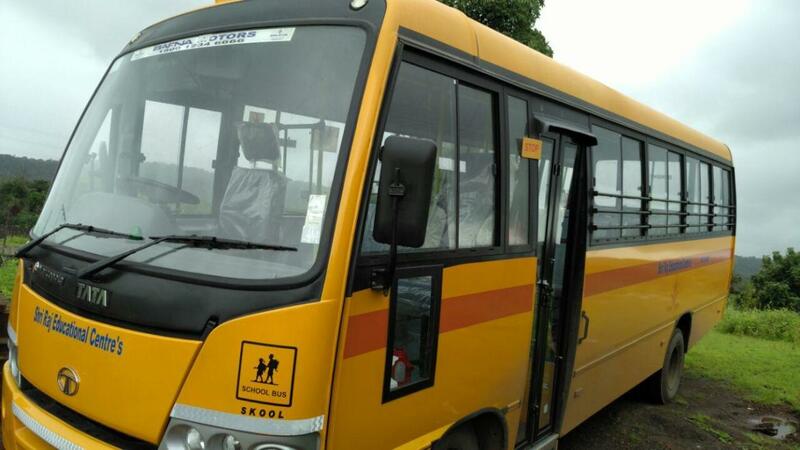 We will share more updates and pictures when the bus is delivered and is ready to ply children.